(This post may contain affiliate links. You can read my disclosure page here. For more information about collaborating with Mother Nurse Love click here). Nurse, take care of yourself first. This statement may appear counter intuitive. After all, aren’t nurses supposed to be selfless humans who give care to total strangers without concern for their own well being? Nurses NEED to put themselves first so they have the stamina and good health to care for their patients and their own families. This is non-negotiable. Staying healthy as a nurse is a win-win for everyone. First off, our families get a better version of us. Second, we have the energy and stamina to keep up with heavy patient workloads. And third, we have better relationships with our spouses and friends. Most importantly though, nurses who take care of themselves are happier! 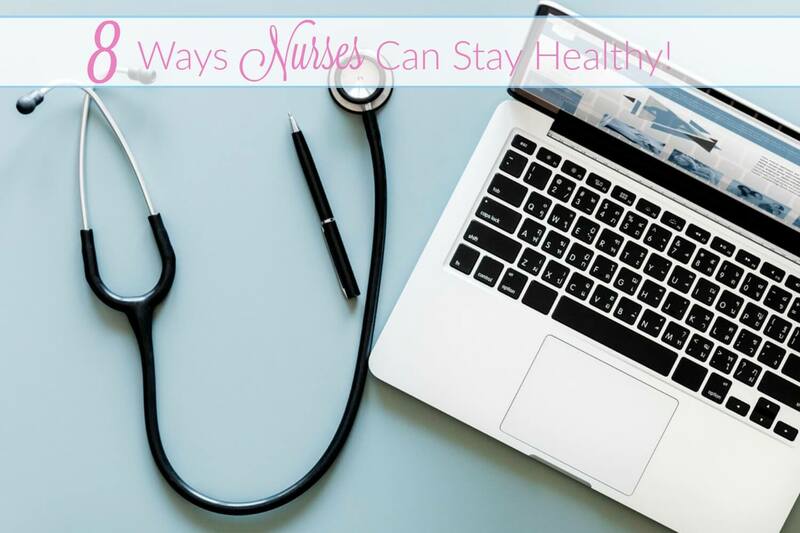 8 Simple Ways Nurses Can Stay Healthy When Working 12 Hours Shifts! #1. Protect your back: do core work! As a result of years of heavy lifting many RN’s are suffering from chronic back problems. I know several nurses who have had to go out on disability and sadly still suffer from permanent chronic back pain. Chronic back pain in the nursing population is a common ailment. An evidenced based review at the Texas Women’s University reported that estimates of chronic low back pain among nurses range from 50%-80%. There is good news though: the review also presented an overwhelming amount of studies that found that regular yoga significantly reduced symptoms associated with chronic low back pain and greatly improved overall physicality. Yoga poses (like plank pose) help you create a stronger core. So say yes to yoga! By working on your core at home, you can preemptively protect your back from some of the wear-and tear you are going to experience as a busy RN. You STILL NEED to use good body mechanics while lifting and turning patients- this is imperative! But by working your core you help strengthen your back and help prevent injuries from occurring over the course of your nursing career. Compression stockings help increase circulation of blood flow and oxygen by helping increase the velocity, or speed of blood flow. By squeezing on the legs, the veins carrying blood to the heart are compressed. Think of how when you squeeze a hose, it squirts the water out faster. With compression stockings, the same volume of blood is able to move up the leg, but it has less area in which to move. Standing for long periods of time causes valves in the veins to become weakened, causing blood to collect in the veins. This causes the veins to enlarge and increase in pressure. The veins then stretch from the increased pressure and cause varicose veins, which can be painful and unsightly! A study by The Society of Occupational Medicine found that wearing compression stockings significantly decreased lower limb venous pressure in nurses who stood for very long hours. The data found that compression stockings protected against oxidative stress in those who work in long-standing occupations. Yoga stretching not only increases flexibly, but increases muscle strength and prevents injuries such as chronic lower back pain. In a career as physically demanding as nursing, the more physically stable we are, the better care we can give to ourselves and our patients. A study published in the National Institute of Biotechnology Information investigated the effects of yoga on stress coping strategies of ICU nurses. After only 8 weeks of yoga the results showed that the participating ICU nurses had significantly better focus coping strategies and a major reduction in perceived mental pressure. If that is what can happen after only 8 weeks, imagine the impact a regular, permanent yoga practice could have on stress management levels. Check out Yoga For Nurses for easy to follow instructional videos. Then, read more about why nurses NEED yoga here. Weight can creep up on healthcare workers who wear comfy, loose-fitting scrubs to work everyday, without you even noticing it! Patients and staff often like to bring unhealthy snacks like donuts, cakes or cookies into the nurse break rooms as a “thank you” to nurses. This gesture is very “sweet” of them, however it doesn’t do our health or waistlines any good. Suggest bringing in fruit or veggie platters as a healthy treat for nurses instead. One of the best ways nurses can stay healthy by preventing weight gain is to grocery shop in advance and prepare meals the night before a shift. That way you are not tempted to order take out or reach for high sugar goodies when you are starving at break time. One day per week I make a big batch of quinoa and keep it handy in the fridge for myself. When I need it, I add veggies, nuts, seeds, dried cranberries, olive oil, tempeh or whatever else I have in the fridge at that moment. Not only does this help me make healthy lunches for work, but I also have delicious leftovers ready to eat when I get home from a long 12 hour shift. Per diem means: for each day. As a nurse, I am literally employed “by the day.” Hospitals need per diem nurses to cover staffing needs in the hospital, which can vary by the day or season. Per diem nursing has been a game-changer for me as a working mom. It is so flexible that I don’t know if I’ll ever be able to go back to being a career RN again. Of course, there are also several drawbacks to being a per-diem nurse as well. It is not for every nurse. 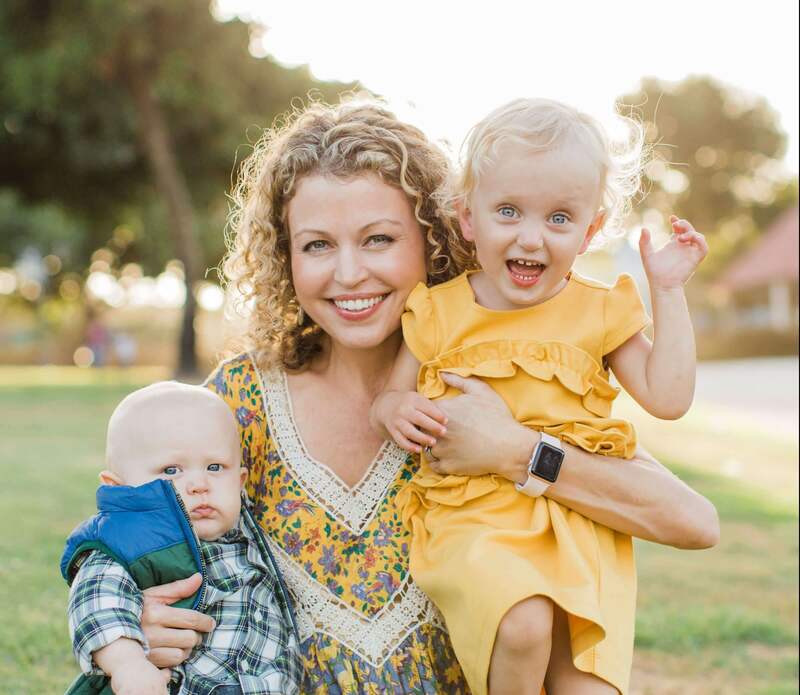 (You can read more about how per diem nursing helped me find a work-life balance here). Nurses work very long hours and night shifts, which interrupts the normal sleep pattern. Help yourself by creating an environment at home that is conducive to sleeping, even during daytime hours. Install blackout shades in your bedroom. Disconnect electronics that artificially lighten a dark room. Purchase quality ear plugs so that the guy mowing his lawn next door doesn’t wake you up at noon when you are finally entering your REM cycle. When I first started working night shifts I even went so far as to use “blue blocker” sunglasses when I was driving myself home at 8’o clock in the morning. (“Blue blockers” are the aviator style sunglasses that Zack Galifianakis and the baby wore in “The Hangover.” Who new one of the best ways nurses can stay healthy involves also looking stylishly cool?). “Blue blockers” have orange glass lenses that cut the blue portion of the light spectrum. This helps prevent the light-inducted melatonin suppression and helps make it easier to fall asleep after seeing the morning sun. One of the best ways nurses can stay healthy is through meditation. Meditation is the practice of focusing your mind on a particular thought or activity to achieve a mentally clear and emotionally calm state. Headspace is an app for your phone that has many different meditations each lasting 1o to 60 minutes. If you can find 10 minutes in your day then you have no excuse not to meditate! Meditation is attainable for even the busiest of nurses! I listen to Headspace with my headphones most nights before I go to bed. It helps me relax after a long day and even helps me to get a better nights sleep. Like yoga, meditation is a practice. There is no good or bad. It is just what it is at the time. You can keep practicing to train your mind to do better the next time. And then eventually your brain is rewired by the habitual repetition of meditation and it becomes easier. Try keeping a gratitude journal. Writing down what you are grateful for consciously reminds you that even though being a nurse is frustrating at times, the good stuff far outweighs the bad. It keeps you aligned with the positive aspects of being a nurse that we should keep our energy focused on: giving great patient care and helping save lives.